Back with one more review from the famous brand Mama Earth . Recently they have launched some new products in their Mama Range as Traditional Recipes . The first product from this range which I have tried is Plant DHA for Mama . 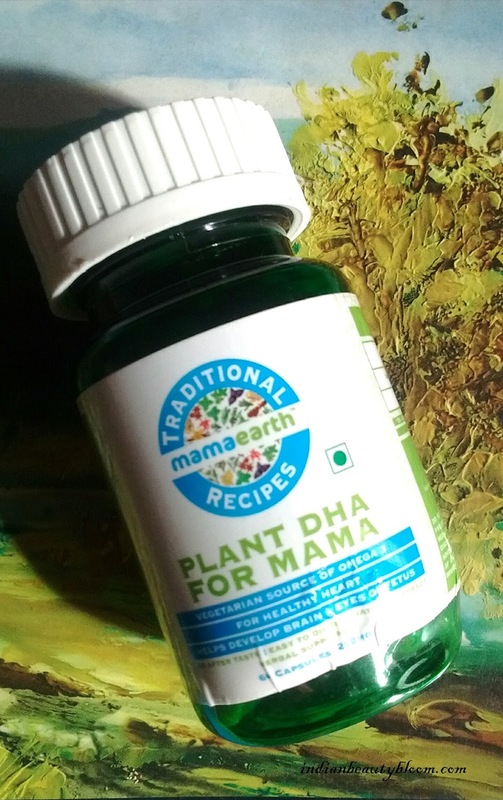 This plant DHA for mama is a vegetarian product for pregnant women & Mama’s. It’s a healthy plant based alternative to fish oil , a rich source of Omega 3 fatty acids . It’s a herbal supplement which strengths the immune system . Each capsule contains 250 mg of DHA . 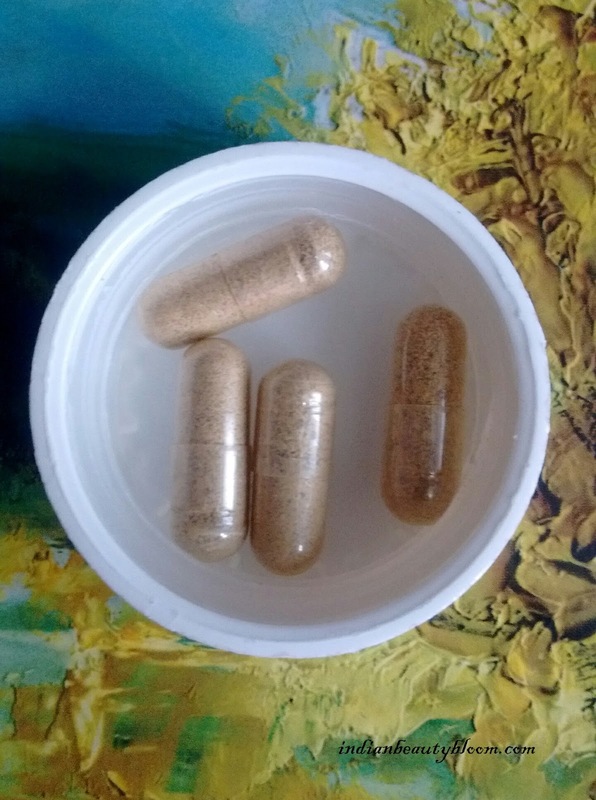 The capsule is brown in color . Has no specific taste or odor . 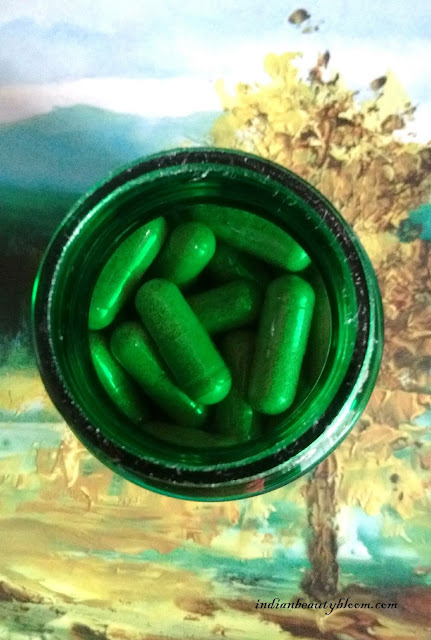 The capsules are packed in a good quality plastic bottle . The bottle is good but it’s Lid is too tight . It really took lots of effort to open it for the first time . So would suggest the brand to do something with it’s cap & packaging . We all know that fish oil is too healthy . It contains Omega 3 fatty acids including EPA & DHA ( Docosahexaenoic Acid ) . It Supports healthy cholesterol level . Helps to maintain strong bones . Helps to boost ones mood . So fish oil capsules are very popular and are taken as supplement by many . 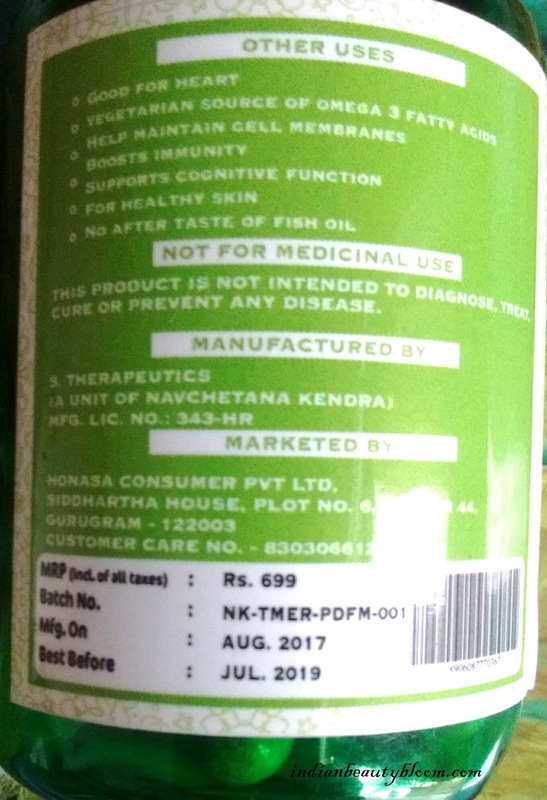 But for Vegetarians and for people who do not wish to take fish oil supplement Mama Earth have come up with this Vegetarian product Plant DHA . It has the same benefit as fish oil but with no after taste of fish oil . 1. Its an ideal supplement for Pregnant women as it’s Vital for brain & eye development of Foetus . 2.DHA helps to build babies brain , nervous system & eyes . 3. It strengthen the immune system . 4.Omega 3 promotes healthier & stronger bones & joints . Mothers who consume DHA are at a lower risk of developing Osteoporosis . This supplement can be taken by pregnant women as well mama’s . 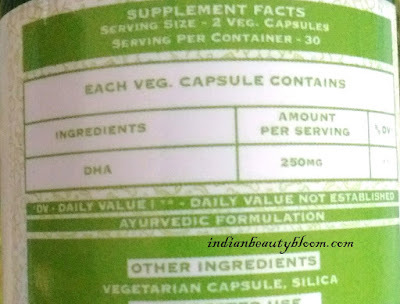 It’s a herbal supplement with 100% natural extract and it’s a 100% vegetarian product . 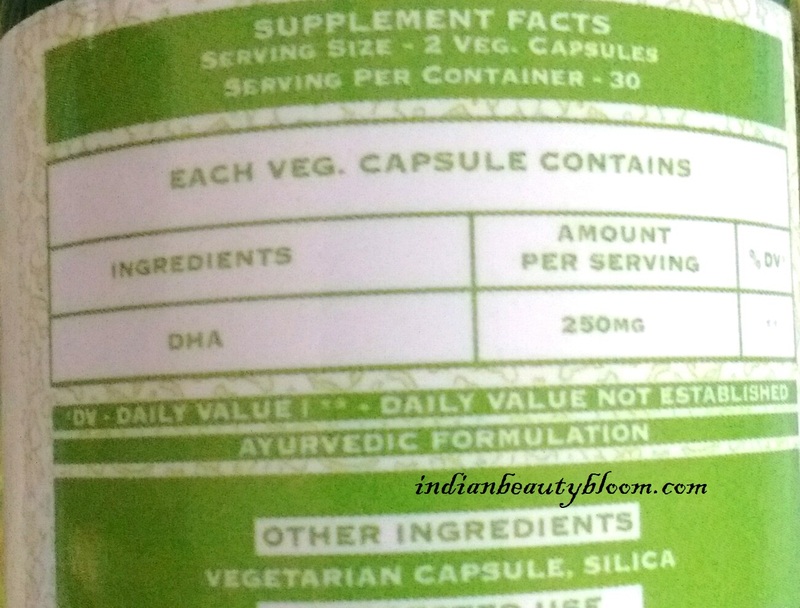 I had read lot about fish oil capsules and its benefits but never tried one . I am taking this supplement past few days . Its a good one , one really feels better & energetic with regular consumption of this . I was having bit cold & fever last week and was feeling too low & dull . When I started taking this supplement I started feeling better even in cold & fever . So can say its a good product .